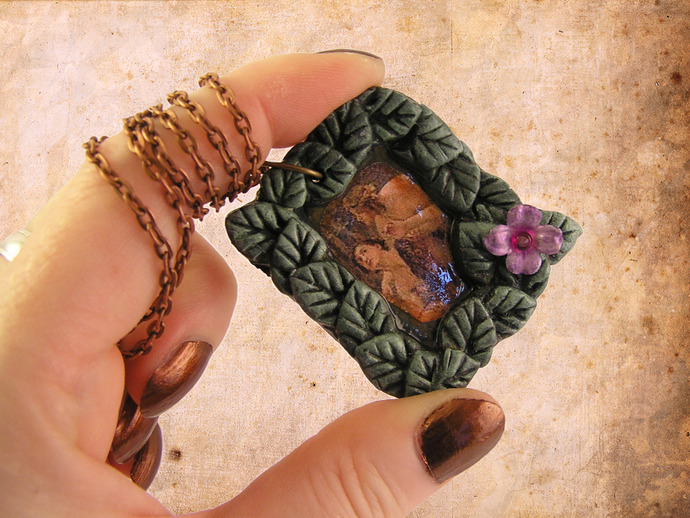 This gorgeous Victorian style pendant features an illustration "Hylas And The Water Nymphs" by Henrietta Rae. The frame is spring leaves and a purple flower bead detail. Washed in shades of green for a perfect natural look. Pendant measures 45mm by 38mm.